Geology Spring rise below Main Limestone series. Record Name Scargill Moor. Sealey Spring. Burnt Mound at spring rise. Record Description At spring rise.This site is at avantage point which overlooks the wide, shallow valley of Thwaite Beck which today is rarely visited and the haunt of greylag geese. 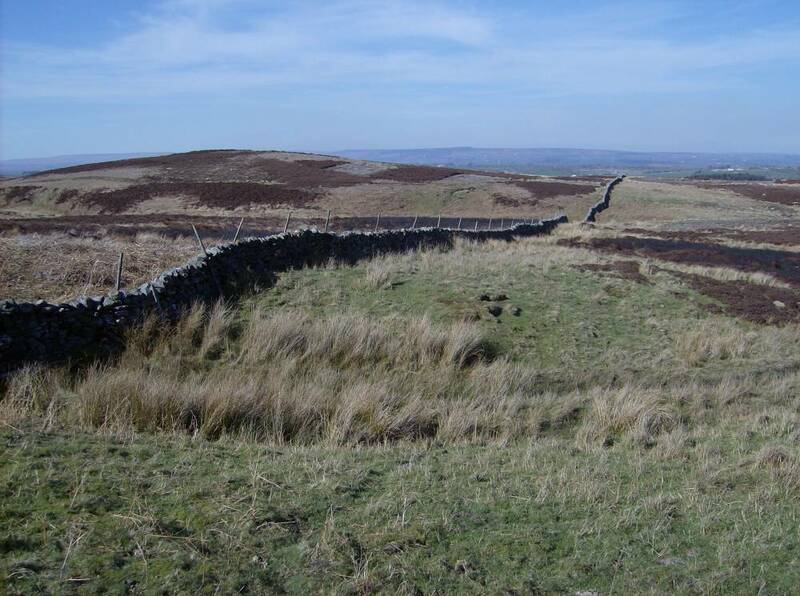 This burnt mound is one of five burnt mounds located on Scargill Moor. A number of rock art sites are located on the higher ground overlooking Thwaite Beck. Reference: Laurie, T.C.2003.Researching the Prehistory of Wensleydale, Swaledale and Teesdale. In T.G.Manby, Patrick Ottaway and Stephen Moorhouse, eds. The Archaeology of Yorkshire, Yorkshire Archaeological Society Occasional Paper No 3, pp 223-253. Additional Notes *Indicative Dimensions of the burnt mounds: Size: Small <6m, Medium 6m-9m, Large 10m-15m, Extra large >15m. Height: Low <0.5m, Average 0.5-1.0m, High >1.0m. This burnt mound is located at a vantage point at the head of a wide shallow valley, the haunt of wild geese today and of beaver perhaps in previous time, ideal hunting ground during prehistory. Three further burnt mounds located 500m SE of Spanham Farm, also at spring rises at the head of a shallow valley and a further very large burnt mound recently discovered east of the plantation below Spanham Farm. Image 1 Description Scargill Moor. Burnt mound at Sealey Spring.